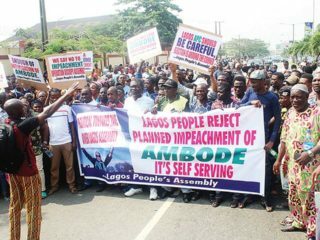 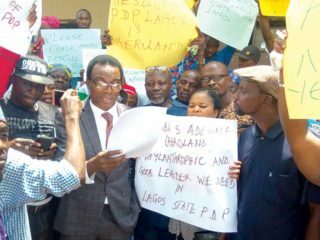 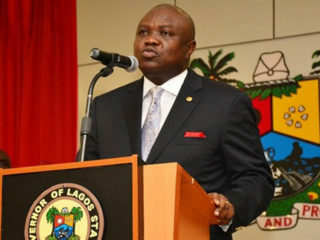 Members of the Lagos Peoples Assembly (LPA) yesterday protested against the State House of Assembly’s purported plans to impeach Governor Akinwunmi Ambode. 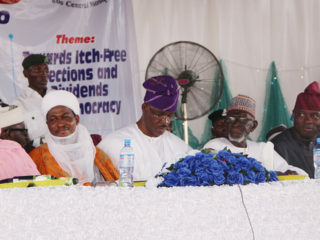 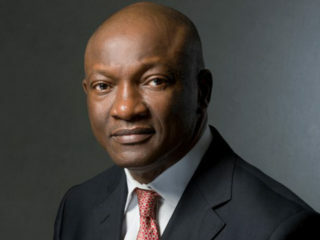 The governorship candidate of the Peoples Democratic Party (PDP) in Lagos State, Mr. Jimi Agbaje, has said he left the camp of National Leader of ruling All Progressives Congress (APC), Bola Ahmed Tinubu, over differences in principles. 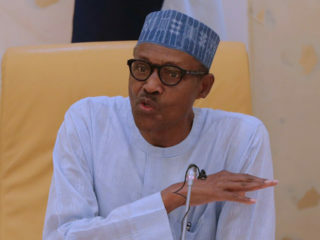 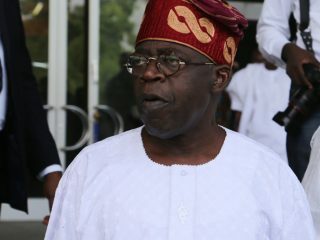 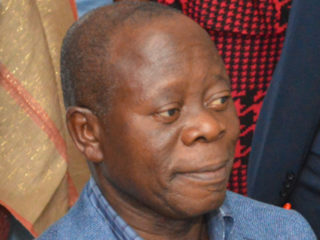 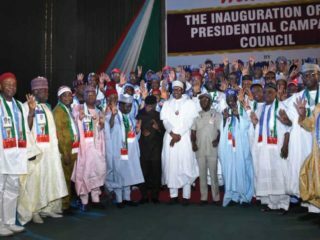 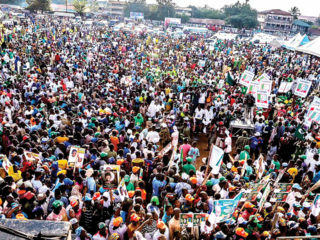 The National Chairman of the All Progressives Congress (APC), Adams Oshiomhole, who quietly slipped out of the country last week, yesterday, returned from the United Kingdom.